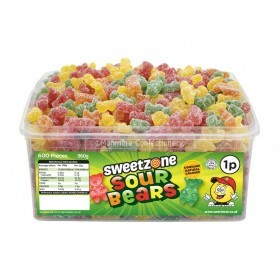 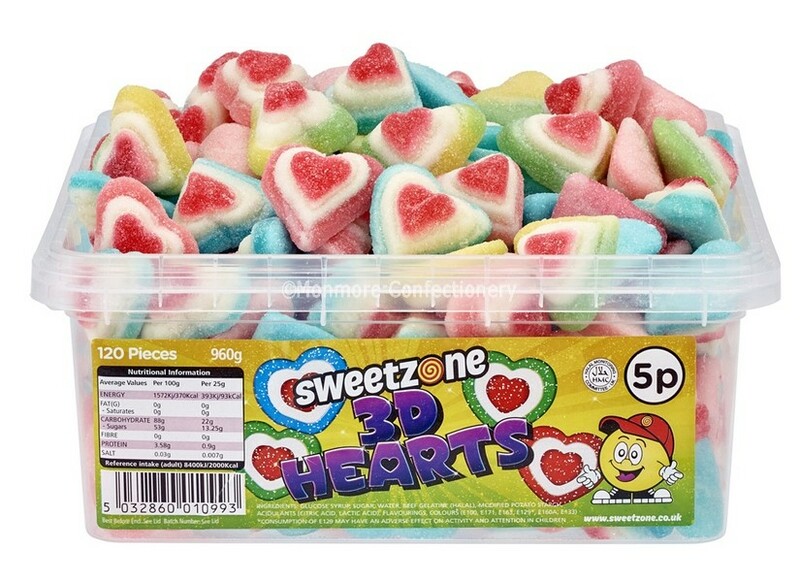 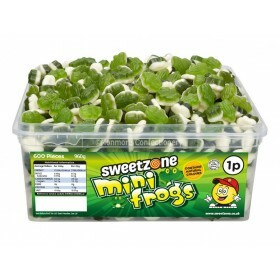 Fizzy 3D gummy hearts by sweetzone using natural colours in a 120 count tub. 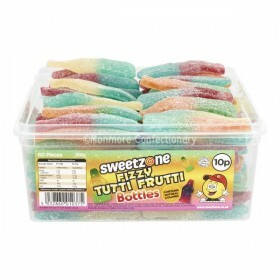 Ingredients: Glucose Syrup, Sugar, Water, Beef Gelatine (Halal), Modified Potato Starch, Acids (Citric Acid, Lactic Acid), Flavourings, Colours (E100, E171, E163, E129, E160a, E133). 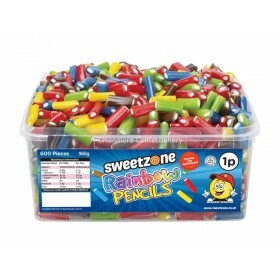 Contains Colours That May Have an Adverse Effect on the Activity and Attention in Children.